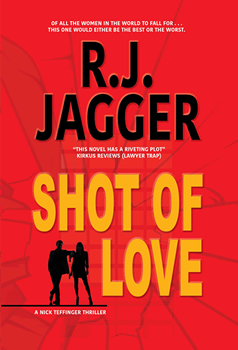 In SHOT OF LOVE, the next installment in R. J. Jagger’s Nick Teffinger crime series, Denver homicide detective Nick Teffinger crosses paths with an edgy little beauty who is either a killer or about to be killed—or both. Either way, she’s on the run, and now so is he. The Big Thrill recently caught up with Jagger to gain insight into his main character, the Teffinger series, and his new release SHOT OF LOVE. What first drew you to writing mystery and crime fiction? My college degrees were in mathematics and then I went on to become a lawyer, so I never really read a book. Then one day, several years into my law practice, just for grins, I grabbed one of the current bestsellers off a Barnes & Noble shelf. I was immediately blown away, first by how good the book was, and second because I felt I could probably write a book myself if I wanted to. Fast forward a year or two, and I began to write a book on weekends and at night—a thriller. I got about 200 pages done and then my law practice escalated to 65 hours a week. The manuscript got shoved into the bottom of a drawer for more than three years. At that point, I’d actually forgotten I’d written it until I stumbled on it one day. I read it, decided it wasn’t half bad, and scrapped half of it, down to 100 pages or so. Then I wrote the rest of it in a flurry over two months. And then all of a sudden, there it was, an actual book (well, manuscript, actually) sitting in front of me on my desk. I’d done it. For better or worse, I was off and running. For the uninitiated, can you give us a little insight into what the overall series is about? Nick Teffinger is a Denver homicide detective who isn’t bad looking; well, let’s be honest, he actually got his face on the cover of GQ last year. So his life is filled with killers and love interests, both of which are about equally dangerous. Tell us about your main character, Nick Teffinger. What has his journey been like up until now? Over the series, Nick—the 34-year-old head of Denver’s homicide department—has been busy being Nick, in other words, saving the next victim from becoming the next victim. SHOT OF LOVE, in a way, was supposed to be the reward for all his hard work. I wanted him to meet an exotic edgy woman and end up on a road trip with her—good scenery, good company, and an adventure to who knows where over the western roads from Colorado to California. To his credit, he met her, so the book started off exactly like it was supposed to. 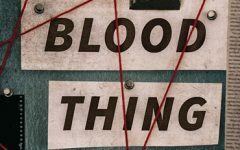 Unfortunately, the woman he met might, in hindsight, be a killer, or she might be the target of a killer, or both; Teffinger doesn’t really know. One thing he quickly realizes, however, is that he’s buckled in for one wild whiplashed ride that’s more likely than not going to take him over a cliff. A great love for my writing style and my characters and an instant and compulsive need to buy every other book I’ve ever written. I’m personally less interested in having my protagonist solve a case as I am in having him on a frantic run to prevent the next one from happening. Throw in some external and internal conflicts, an interesting subplot, a beautiful woman or two, and a good idea for an unpredictable shocking ending, and the book is well on its way to writing itself. It increases the number of available books in the genre by one. Actually, the ending surprised me. As a pantser rather than a planner, I never really know what the ending is going to be until I get there. Sometimes that magically perfect final twist just shows up out of the blue. The enhanced audiobook version of this title was produced by the outstanding group at Roger Rittner Productions in L. A. and narrated by actress Robin Riker, among several others. It truly sets a high bar for audio excellence. R. J. Jagger, a trial attorney and novelist, is the author of over over twenty thrillers which have been published under a number of different pen names. In addition to his own books, he also ghostwrites for a popular bestselling author. 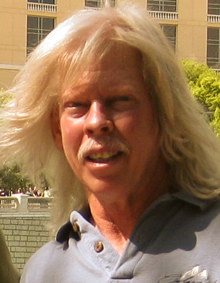 He is a member of the International Thriller Writers and Mystery Writers of America.